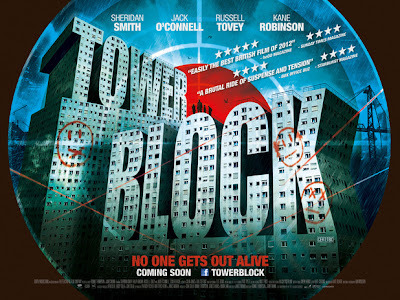 After The Raid, Dredd 3D and less recently Attack the Block, you'd think the tower block would be ready to be retired as a location for an action thriller. But British director James Nunn has come up with another promising take on tower block terror, filling one with the likes of Sheridan Smith (lots of British TV) and Jack O' Connell (more British TV, a few films) and the legend that is Ralph (Camberwell Carrot) Brown. Then a sniper is unleashed, taking potshots at this unsuspecting bunch and chaos ensues. Tower Block closed this year's FrightFest and has a promising score of 7.3 over at IMDb from the 47 people who have rated it so far. With Cockneys Vs Zombies getting good reviews (also written by James Moran) and Ben Wheatley's Sightseers being one of the must-see films at this year's London Film Festival, it looks like the British horror film is in rude health. 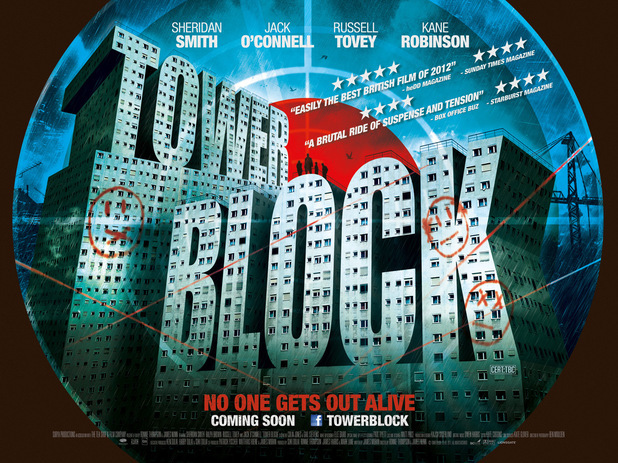 Read my review of Tower Block here. Will you be braving this one in the cinema?